(TibetanReview.net, Nov25, 2018) – The Central Tibetan Administration (CTA) at Dharamshala, India, has on Nov 24 announced an indefinite postponement of the 13th conference of top religious leaders of Tibet following the recent passing away of the leader of the Nyingma tradition of Tibetan Buddhism. 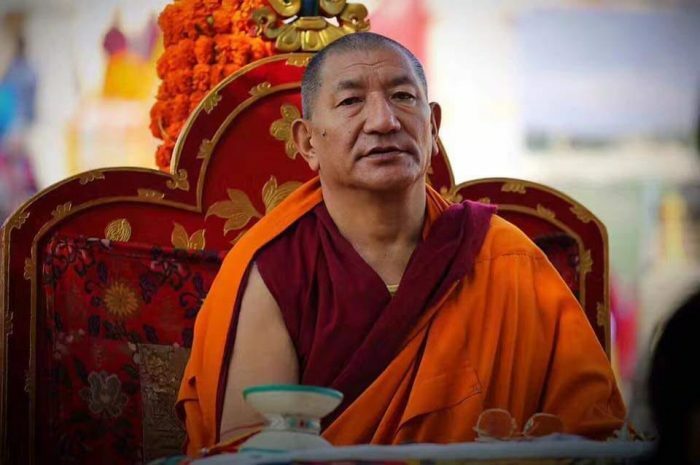 The 64-year-old Nyingma head, Kathok Getse Rinpoche, had died after a fatal slip while coming out of retreat at his monastery in a village not far from Nepal’s capital Kathmandu on Nov 19. The Religious Conference of the Schools of Tibetan Buddhism and Bon Tradition was otherwise scheduled to take place over Nov 29-Dec 1 at Dharamshala. The CTA’s Department of Religion and Culture has announced that many lamas and representatives of the Nyingma tradition were unable to participate because of the passing away of Rinpoche. Kathok Getse Rinpoche was made the 7th head of the Nyingma tradition of Tibetan Buddhism for a three-year term at a gathering of top Nyingma leaders during the 29th Nyingma Mönlam in Bodhgaya in Jan 2018. The main focus of the religious conference is on raising the quality of Buddhist knowledge and practice. This year’s conference was also expected to be likely to see a discussion of the issue of His Holiness the Dalai Lama’s reincarnation or successor. The Karmapa’s participation was also uncertain as there was no information that he had been granted a visa by India after he acquired the citizenship and passport of the Commonwealth of Dominica.